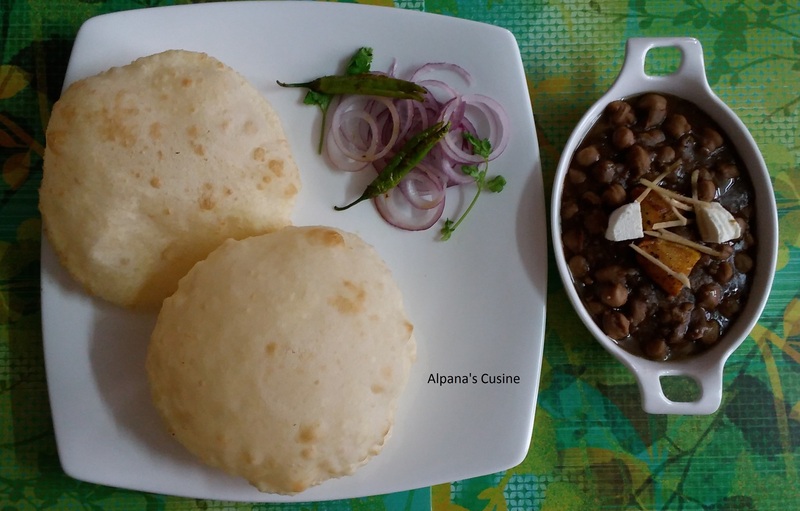 Chole Bhature is one of the most famous Panjabi recipe which is now liked almost all over India.It is a spicy tasty dish.It can be eaten as breakfast as well as lunch.You can enjoy chole bhature with family and friends in this rainy weekend. Heat the mustard oil in a pan ,add chopped onion,ginger paste and saute till onion become translucent.Then add chopped tomatoes till it become soft. Now heat the oil in deep pan or kadhai.heat the oil well so that bhatura do not absorb extra oil and become fluffy.Gently place the bhature and fry from both sides and it should be light golden brown.Drain on absorbent paper. Serve hot with chole,pickle,sliced onion and green chillies.